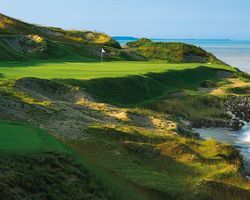 Looking for Package Deals to Kohler - Whistling Straits? We have those too! The American Club is listed on the National Register of Historic Places and has received the AAA Five Diamond Resort-hotel recognition for 21 consecutive years. 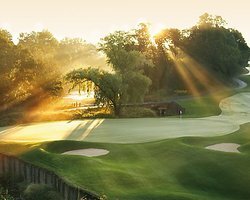 Destination Kohler is home to championships golf courses at Whistling Straits and Blackwolf Run, the nine restaurants of The Kitchens of Kohler, The Shops at Woodlake, River Wildlife, Sports Core and other resort properties. 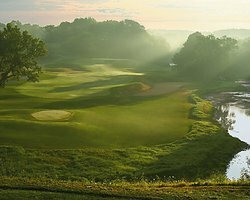 Destination Kohler is located in the Village of Kohler, Wisconsin, 55-miles north of Milwaukee and two-and-a-half hours north of Chicago. 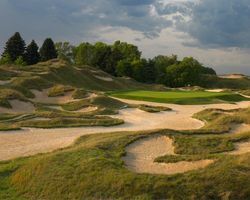 Designed by the legendary Pete Dye, Kohler's four championship golf courses are all ranked among the best in the United States by the leading publications.